We’re all familiar with the hype that surrounds Apple and its launch events held in September. So, its no surprise that this year does not seem to be any different at all. In fact, for all the Apple fans out there, it might be a year with the most diverse product lineup yet. Apple is reportedly gearing up to launch two variants of the iPhone, two iPads and the iWatch this September. Following these we can expect to see the 12 inch Retina MacBook just as Intel makes the BDY-M available. This is expected in either Q3 or early 2015. In addition, two MacBook Airs (11 and 13) have also reportedly entered production. So all in all, it seems to be a very busy year at Cupertino indeed. With all of this product development underway, who would have expected Apple to be working on something completely new. Well, according to The Information, and reported by The Verge, Apple is reportedly gearing up for a Mobile Wallet as well. This is to be expected to launched alongside the iPhone 6 this September. Before we get started on today’s news, first lets take a look at the Mobile Wallet platform. Simply put, through Mobile Wallet, you can make payments directly from your smartphone, instead of the whole credit card hassle. 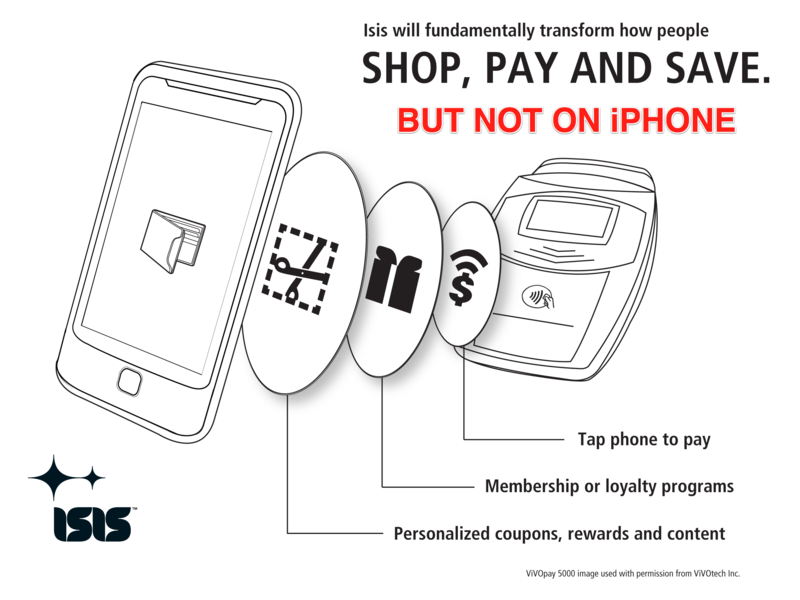 Apple’s talks with companies aren’t the first time the Mobile Wallet platform has been experimented with. Almost two years back, cooperation between Google and Verizon broke down. This was related to Verizon refusing to offer Google Wallet for the Galaxy Nexus because it required the Secure Element on the smartphone in order to function. A secure element is a piece of hardware on the phone which can not be tempered with. It is used to store the user’s financial credentials on the phone. According to The Information, Apple has told its partners that its system will involve a secure element. List of Apple’s partners include several credit card associations including Visa and banking institutions. Visa has in fact even agreed to work with the alleged product. Apple has also told partners that it intends to utilize near-field communication chips for the Mobile Wallet platform. In fact, one of The Information’s sources also states that the company might choose to rely on Bluetooth or Wi-Fi as well. If Apple does indeed go ahead on its own with the Mobile Wallet, it might actually be able to pull it off.